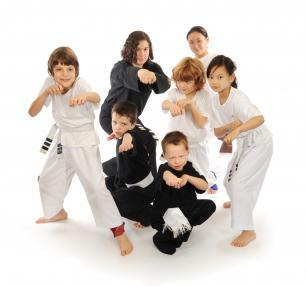 Within a two hour time period, a full hour of martial arts is taught in a safe and well-supervised environment. Fly like a crane, scamper like a monkey! The class is followed by games and your own refreshments. Call to schedule your wildly good birthday celebration - beginners and non-Naga students welcome! Enjoy an evening out while your kids enjoys an evening at the Studio! Kids from all our school programs join for an evening of "Tiger Ball," a martial art workout, games, snack, and a family oriented movie. We run several of these during the school year. Call early to reserve your place, we always fill-up! 6:30-10:00 pm. $30 per child/siblings 2/$50.